A love story that has all the feels right from #bkktoblr. Yes, Jatin & Levina’s story started when they were in high school in Bangkok. 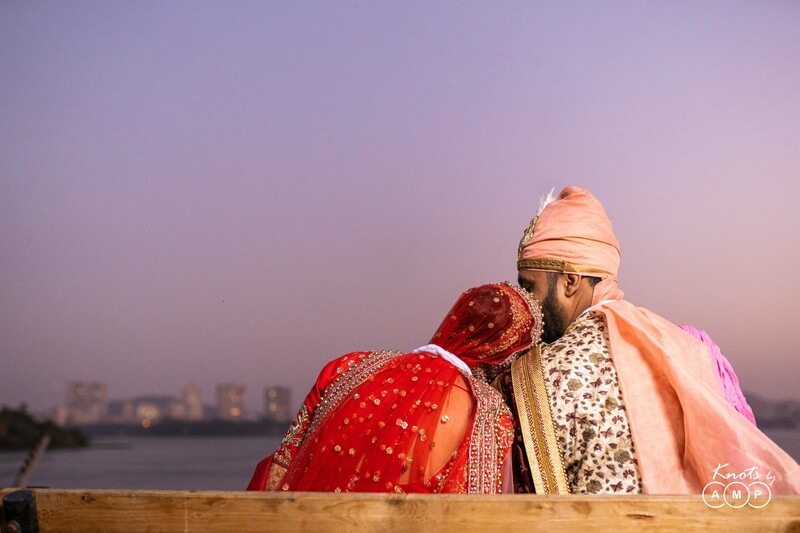 They were extremely fond of each other. 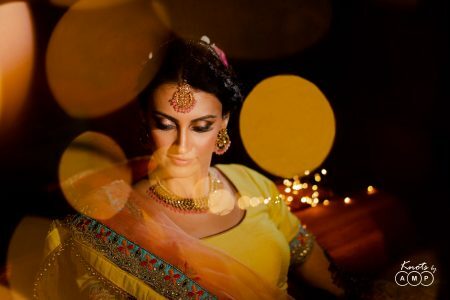 However, life took over and they moved cities and lost touch for few years. 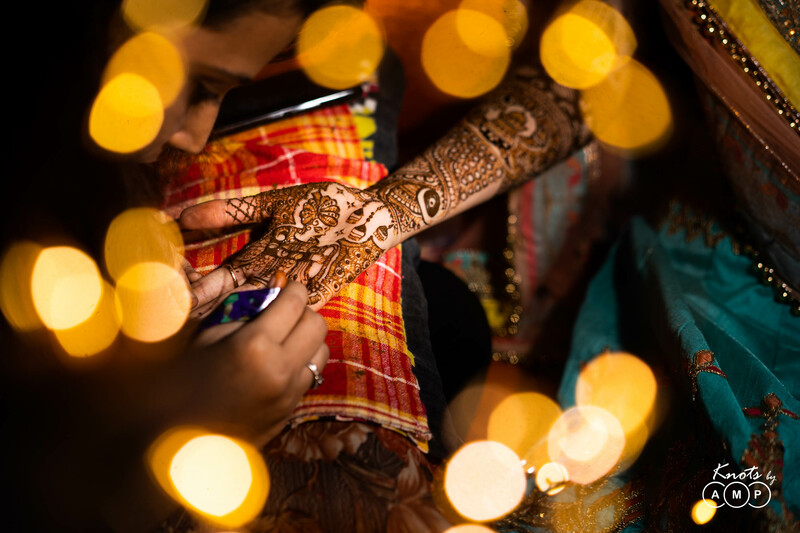 But destiny had already made big plans for them. 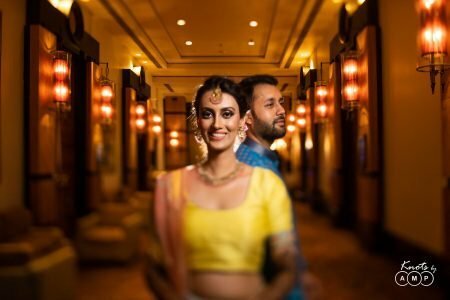 This time, they met again in Bangalore. 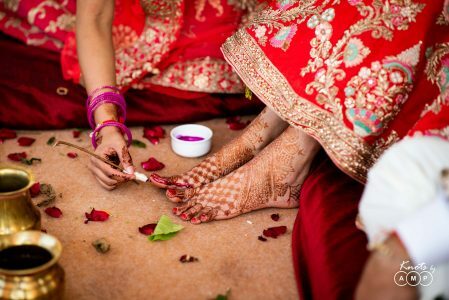 And fell for each other head over heels. 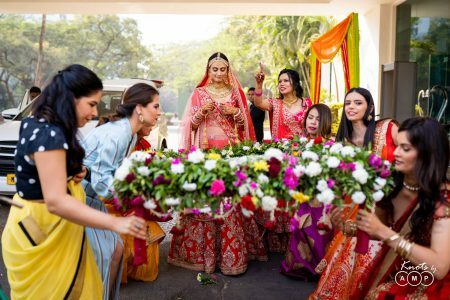 Things fell in place and they were all set to get married. So, #itsalevstory was set to happen at the gorgeous Renaissance, Powai. 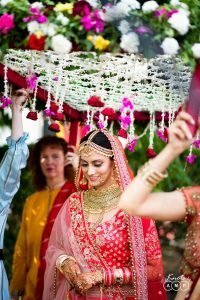 So, it goes out to mention how amazing the wedding was planned. 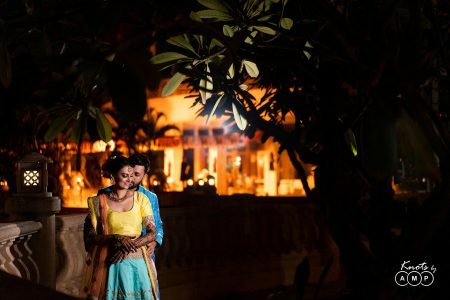 Jatin & Levina were sure about one thing, they wanted their wedding to be close to the nature. 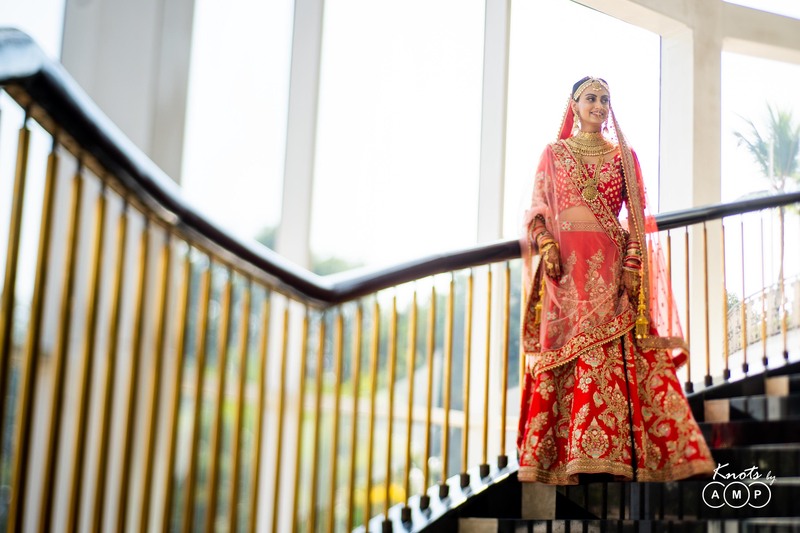 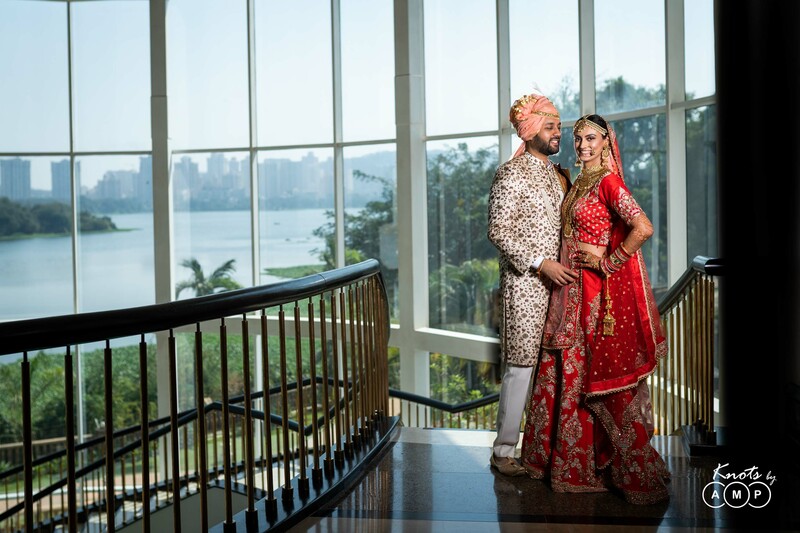 And Renaissance Powai, having its proximity to the lake and the swooning greenery made the ideal choice for the big day. 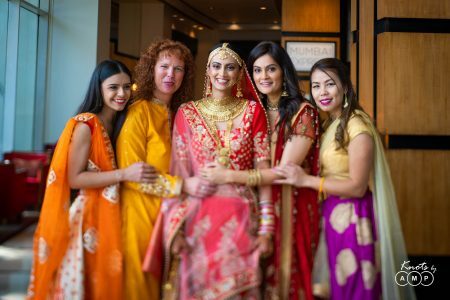 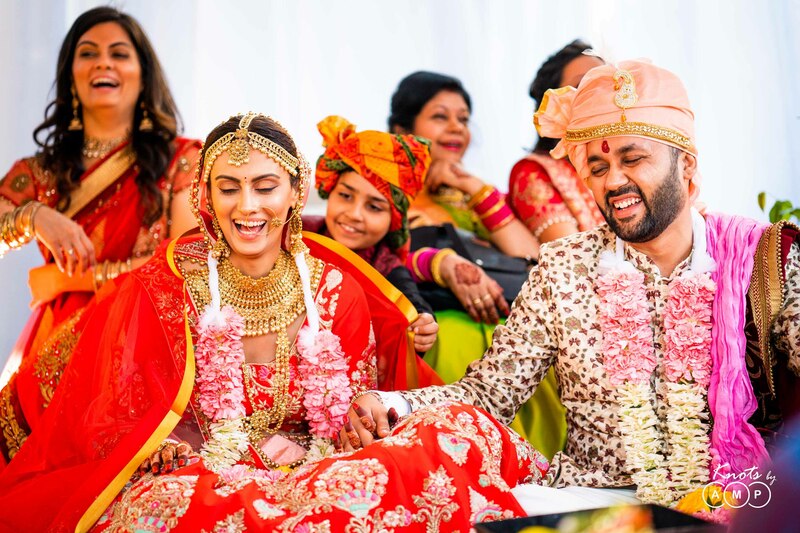 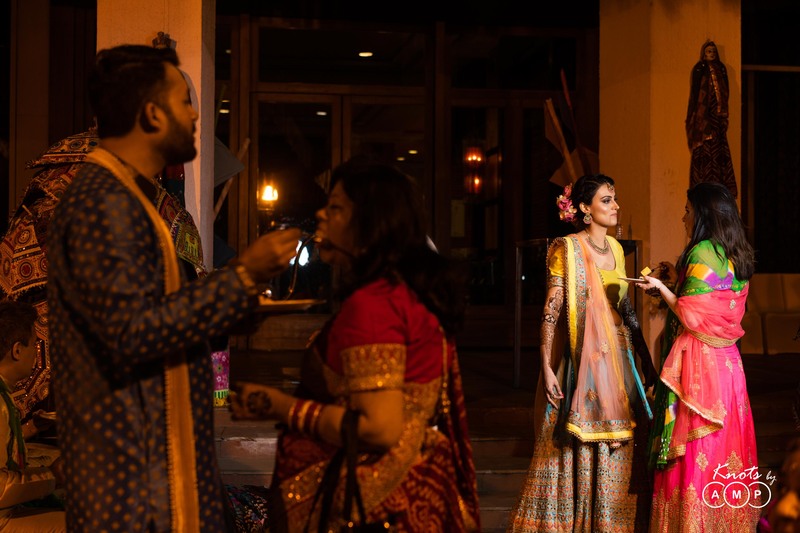 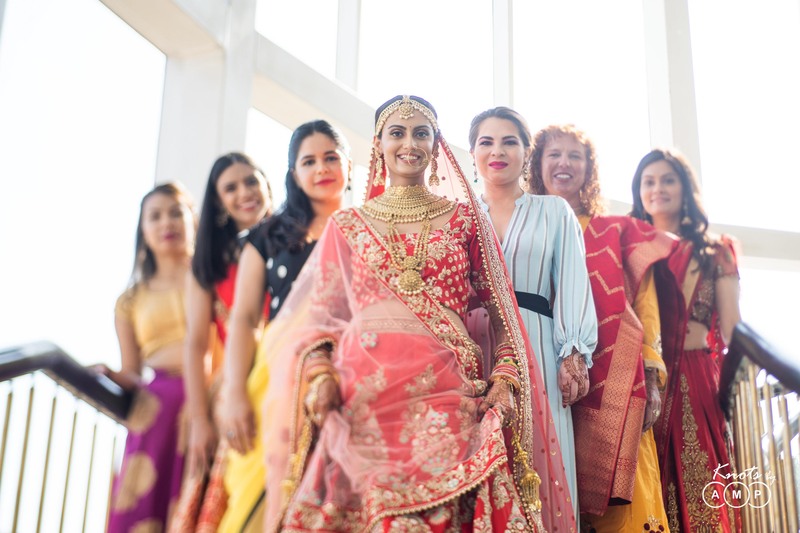 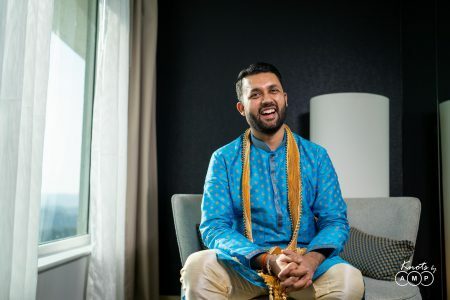 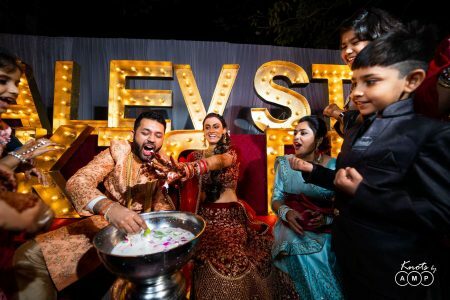 Since Jatin was in Bangalore, and Levina in USA, the wedding planning responsibility was given to Shubhi & Amritanshu (Jatin’s sister & brother-in-law). 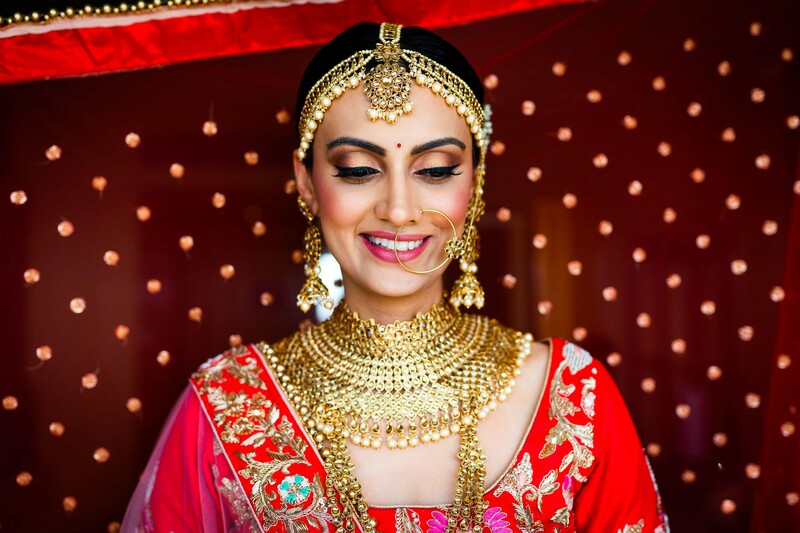 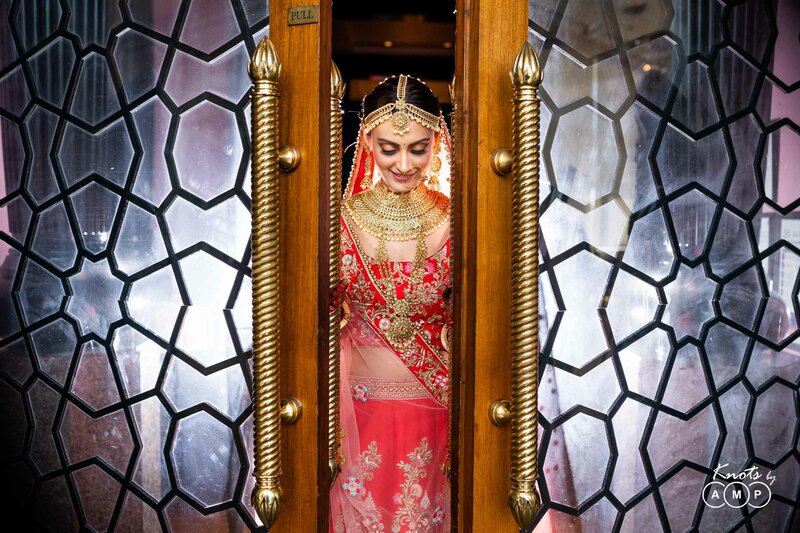 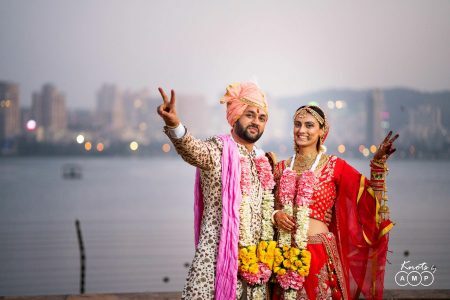 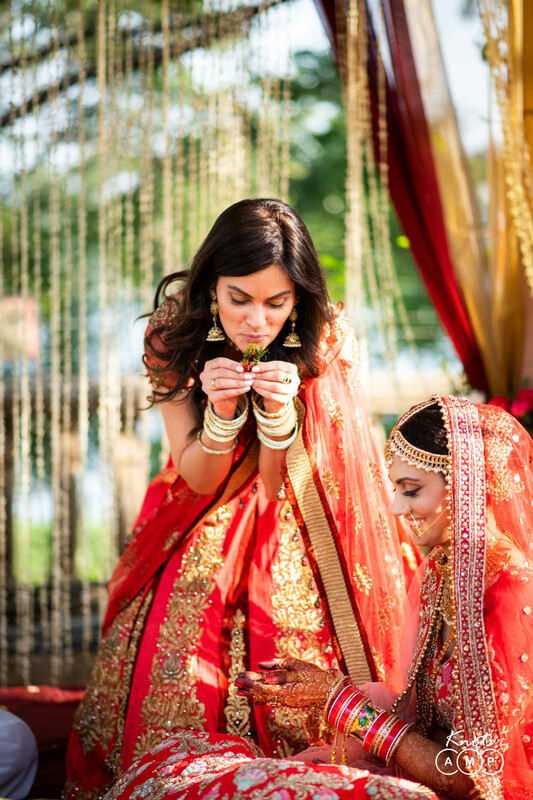 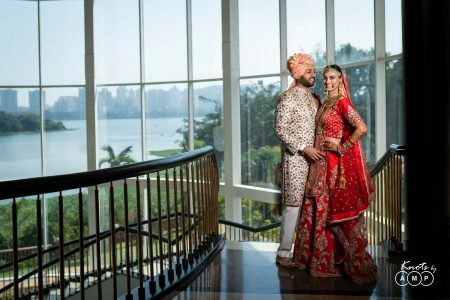 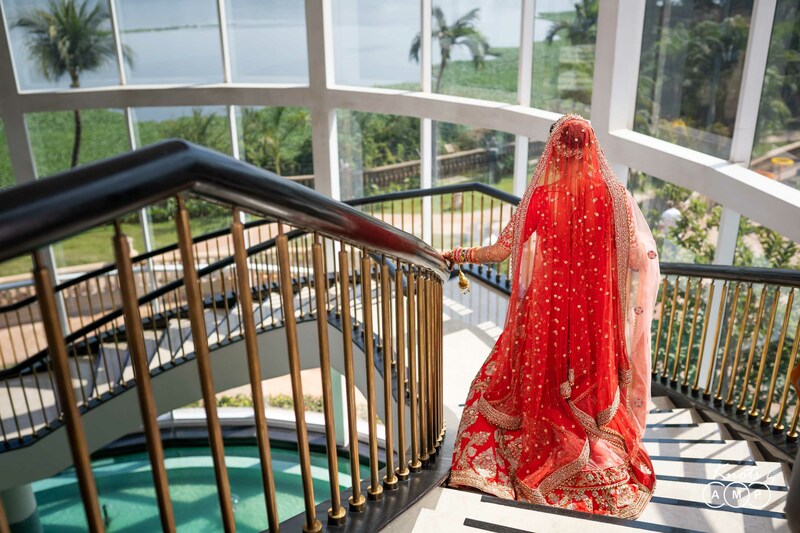 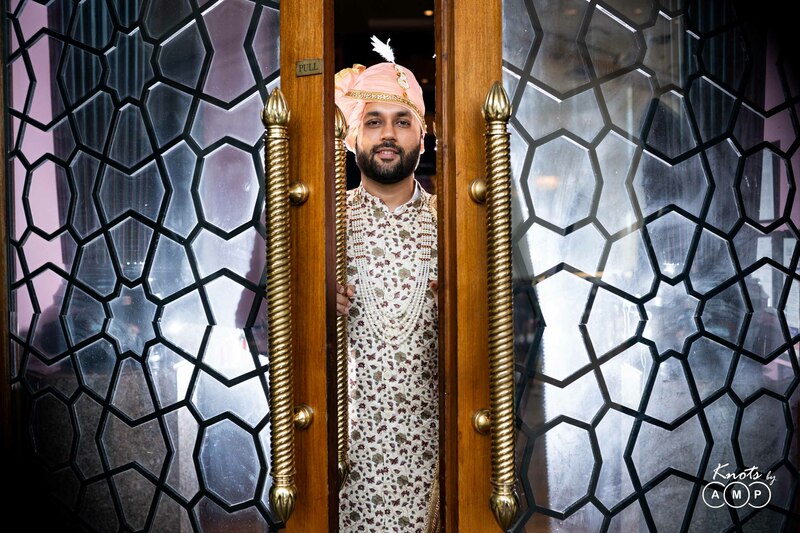 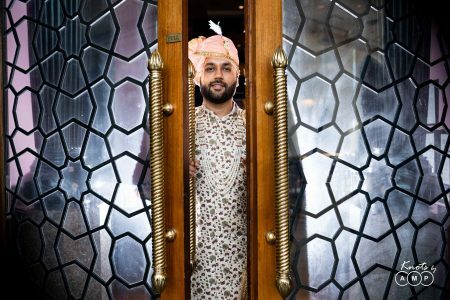 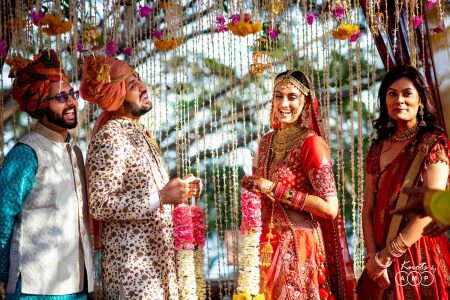 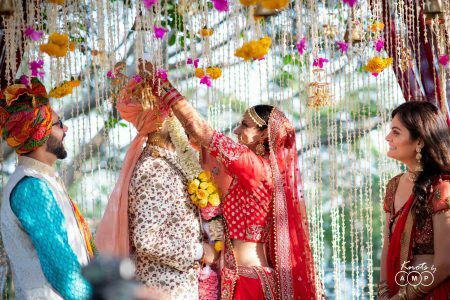 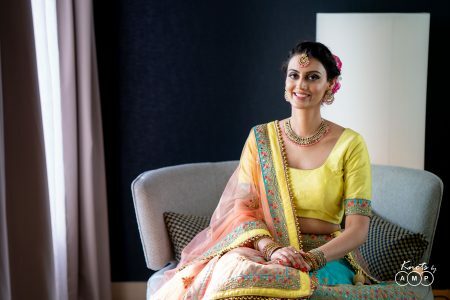 They had just one directive from the couple – to get the best wedding photographers in Mumbai onboard for the wedding. Hence, it was both of them who approached us and very sooner we were all set to shoot Jatin & Levina’s big day. 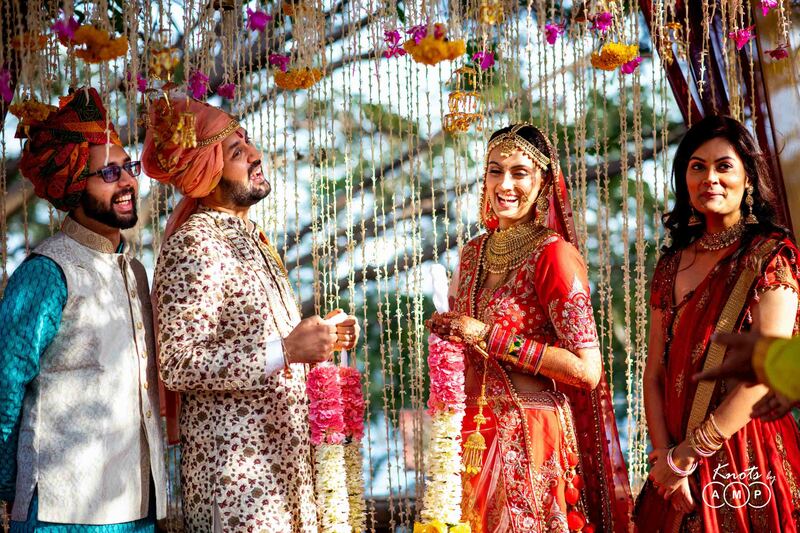 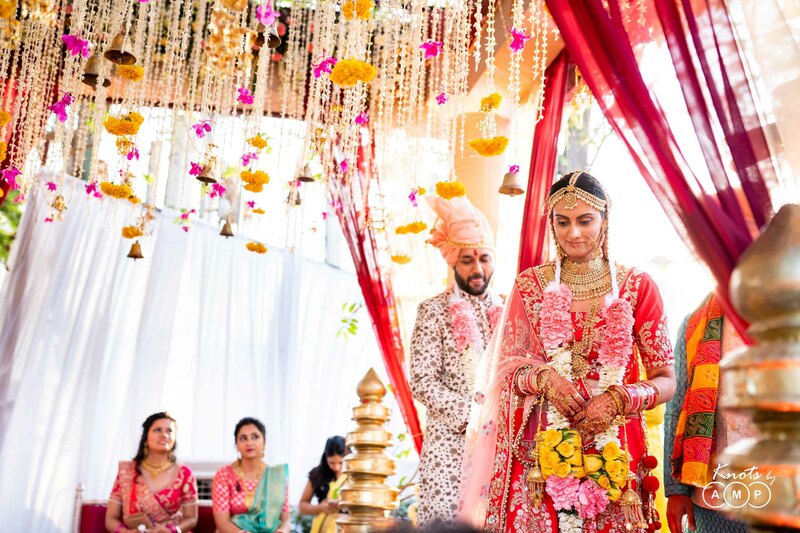 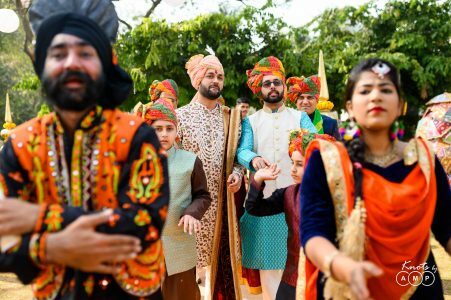 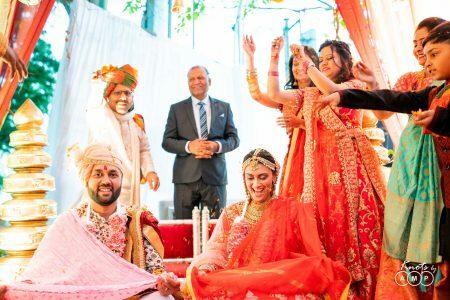 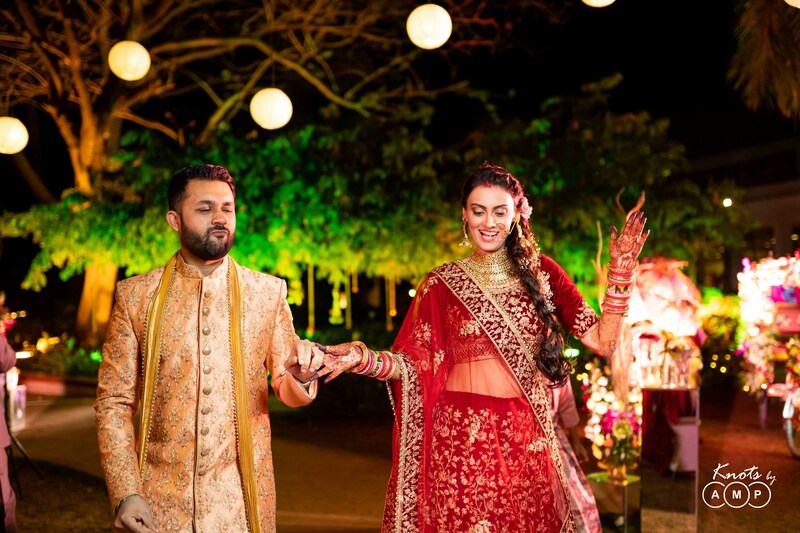 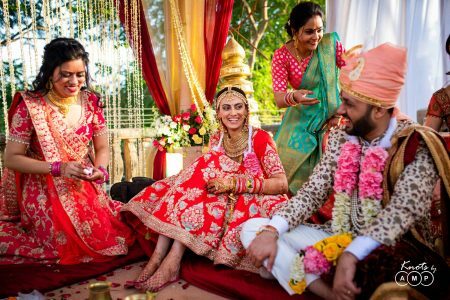 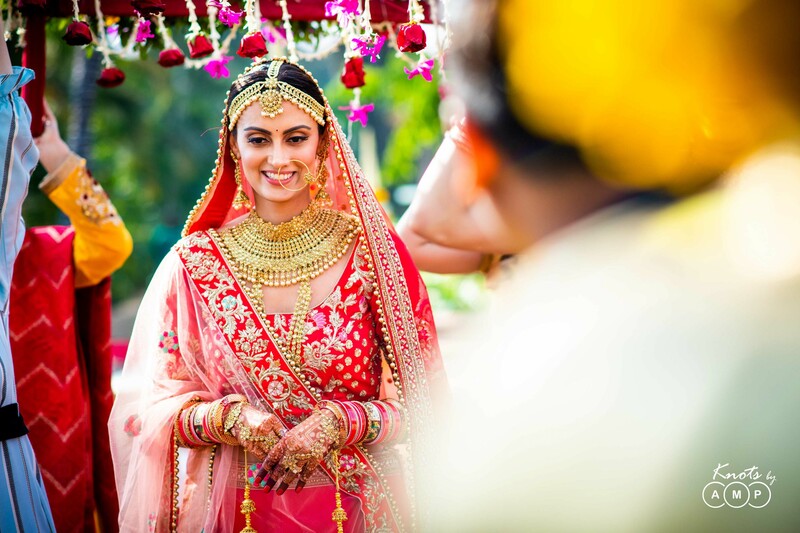 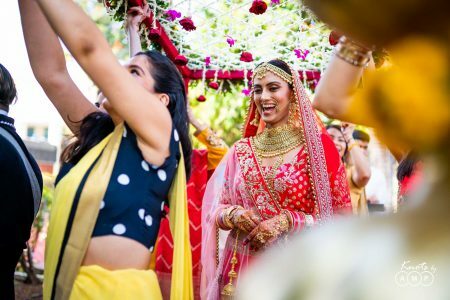 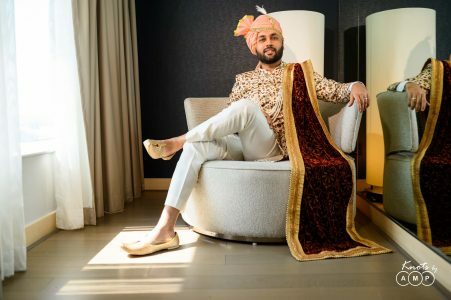 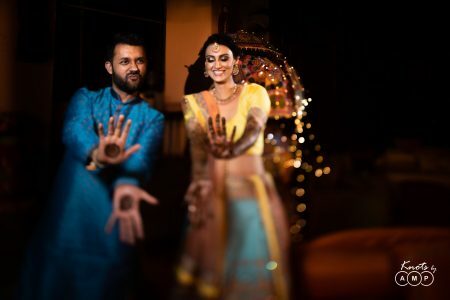 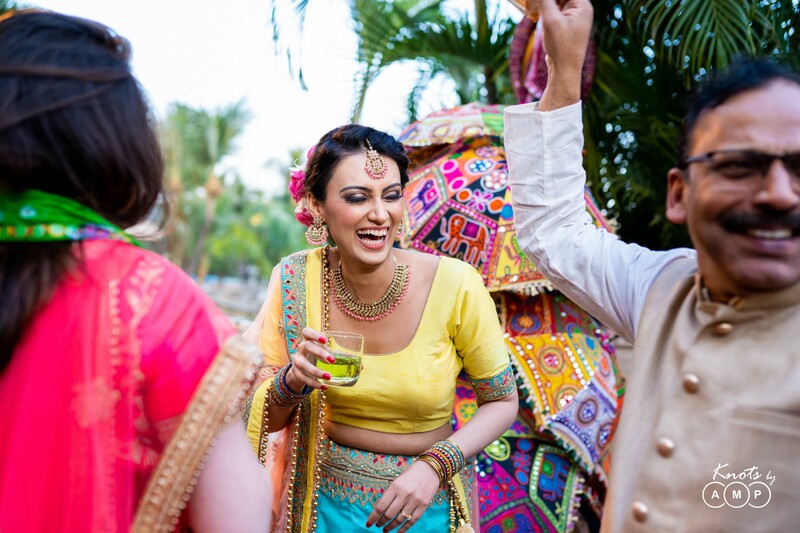 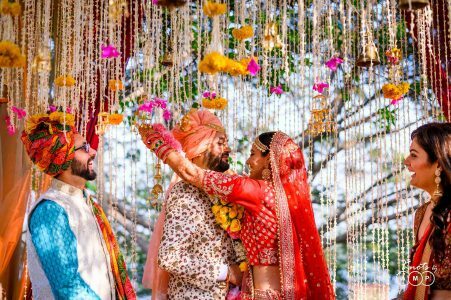 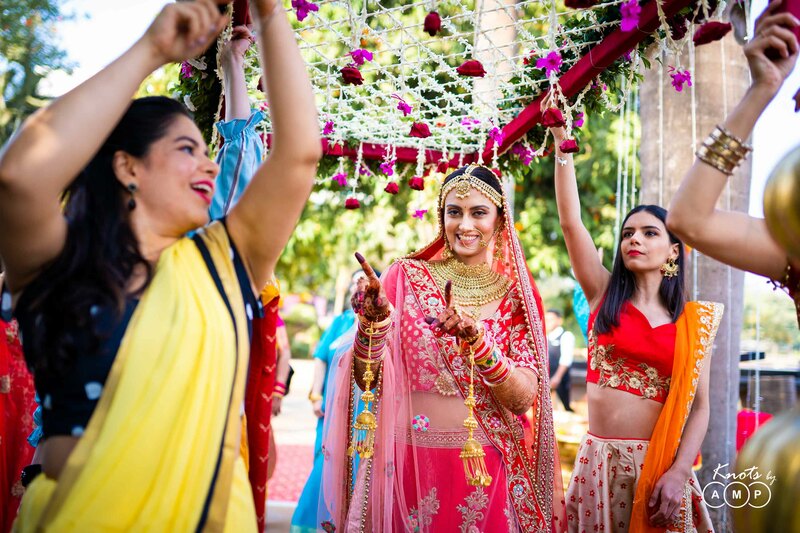 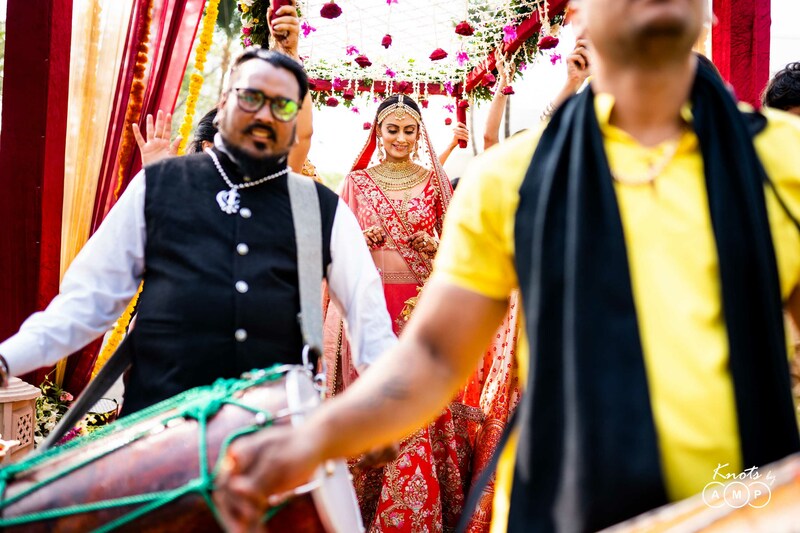 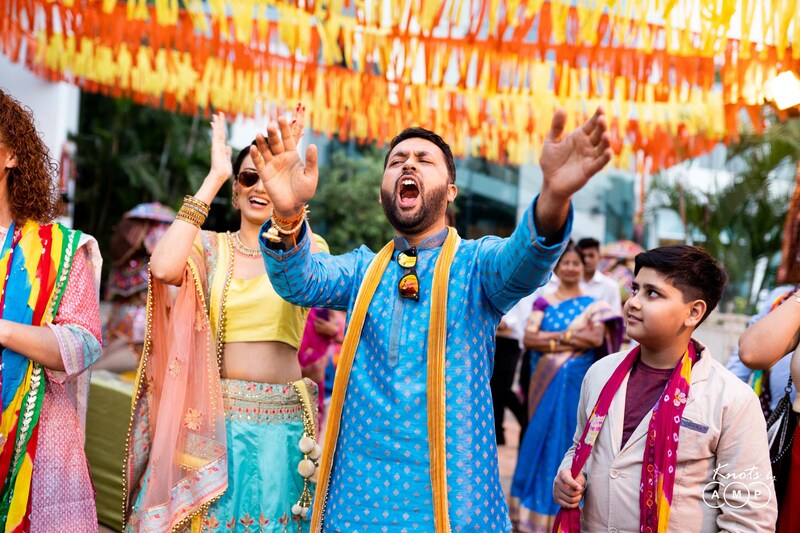 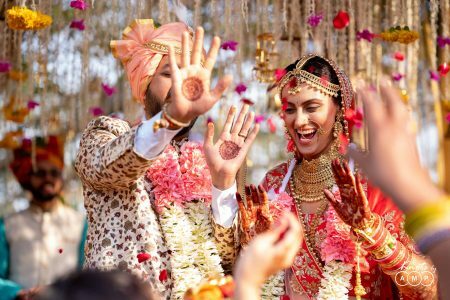 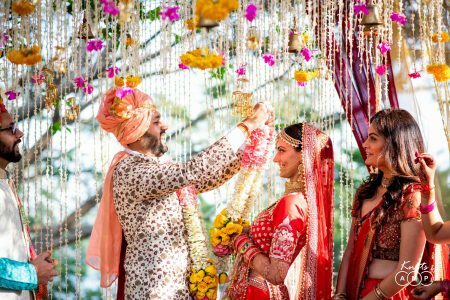 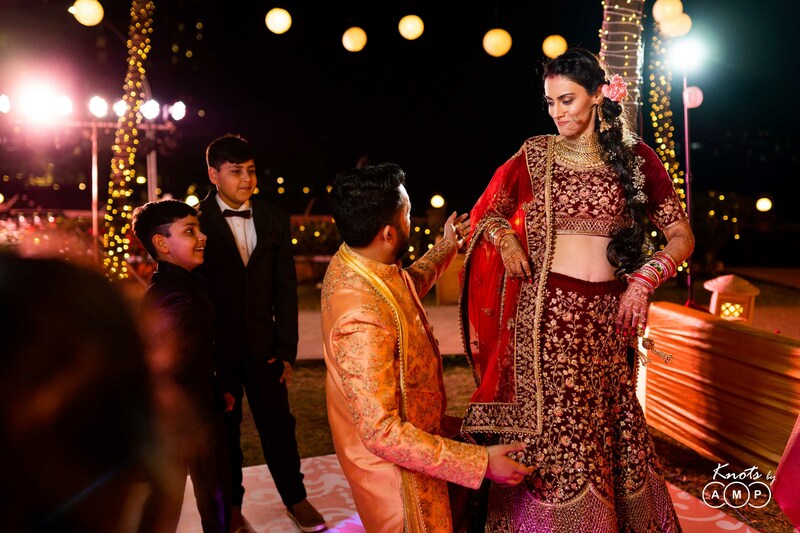 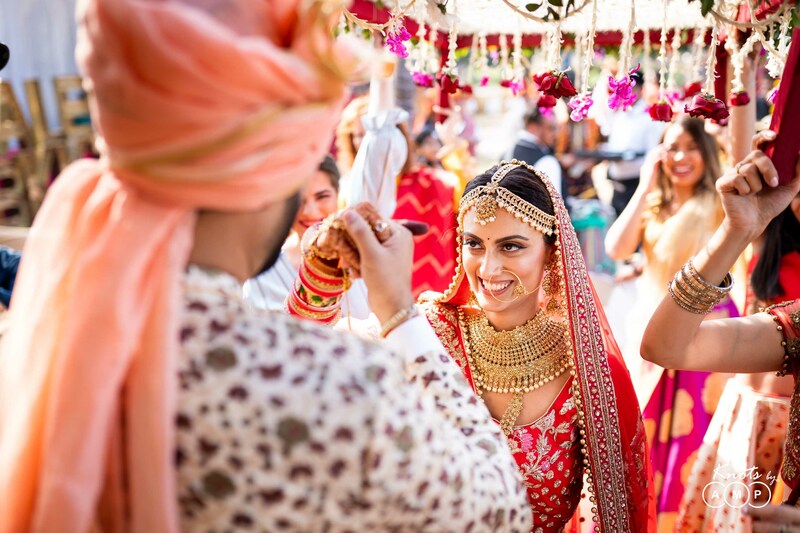 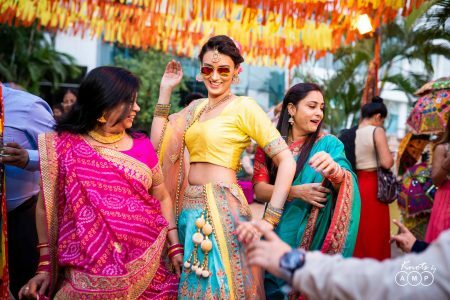 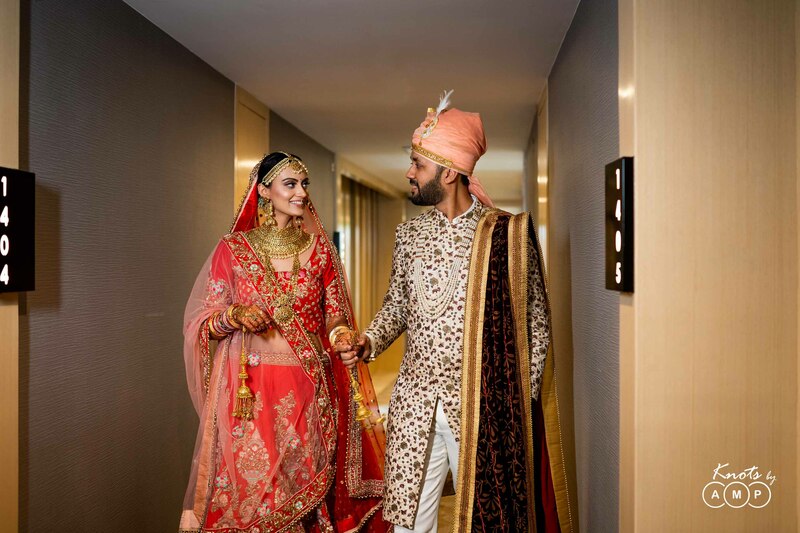 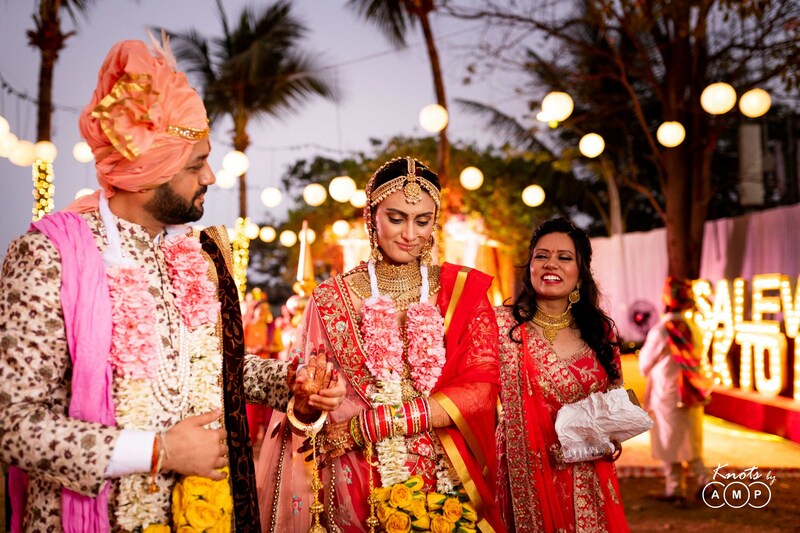 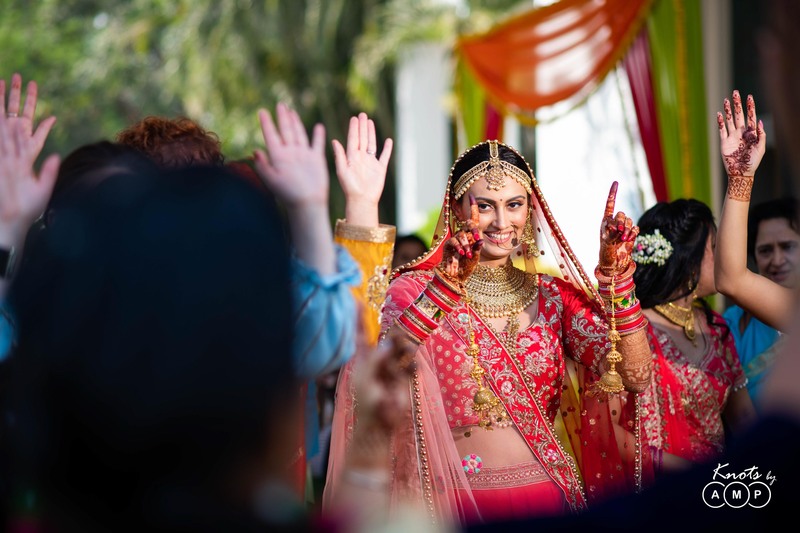 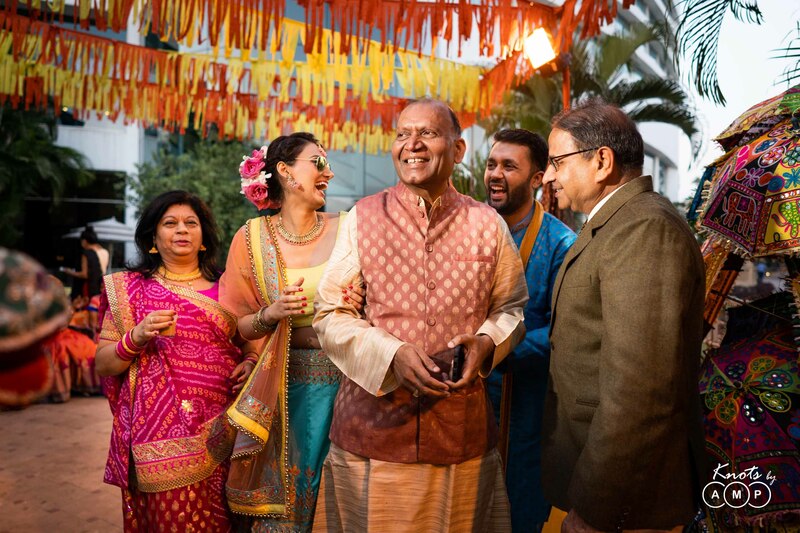 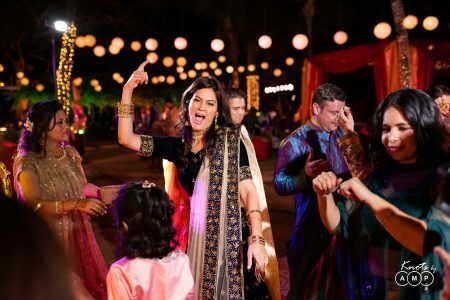 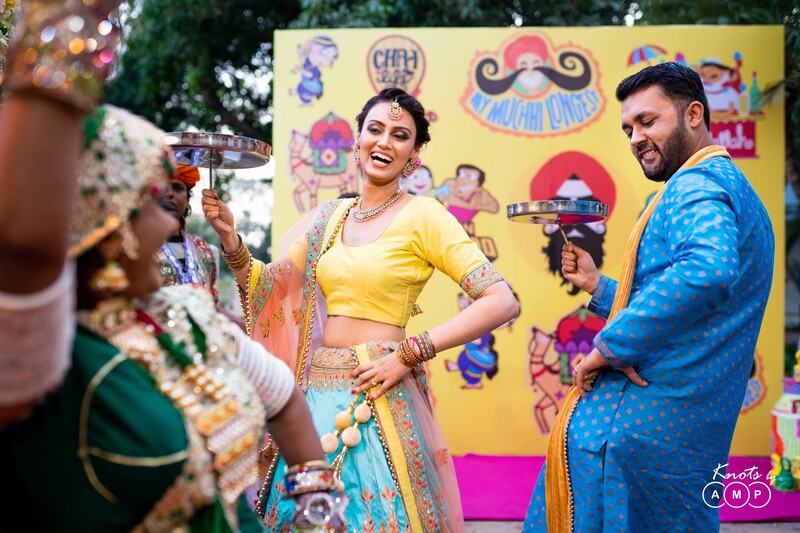 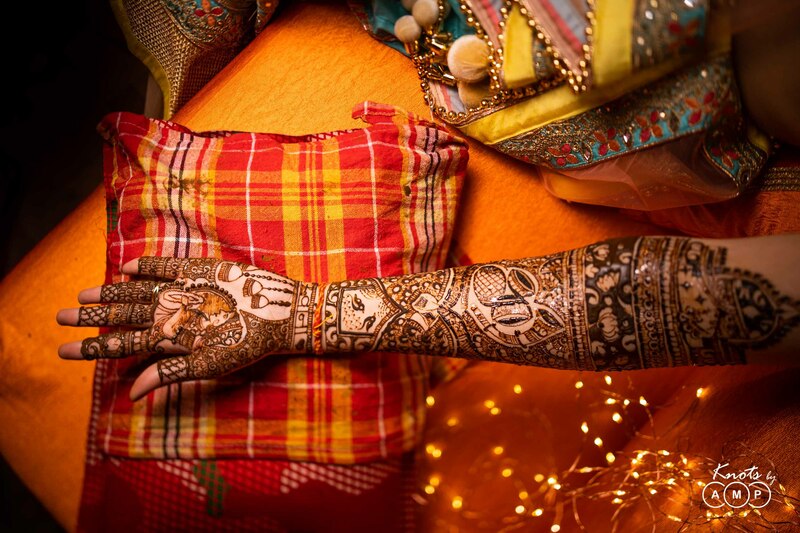 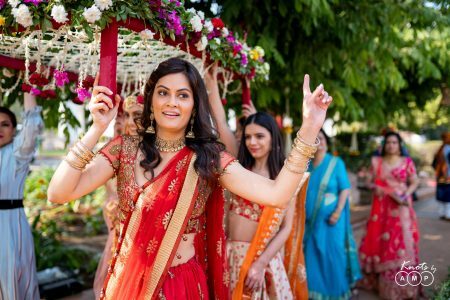 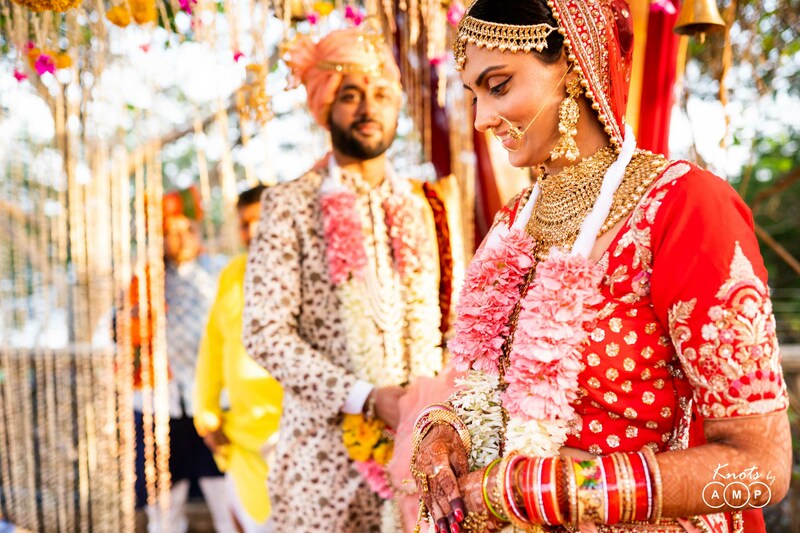 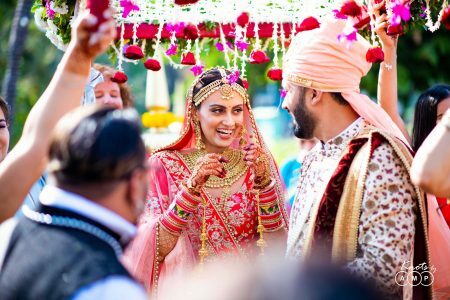 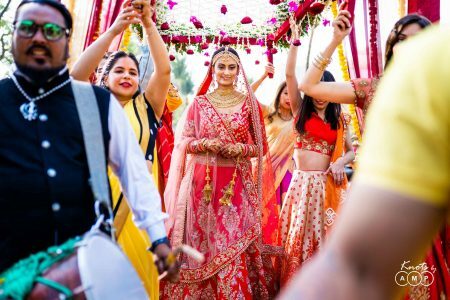 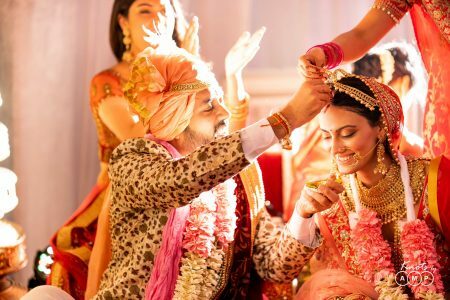 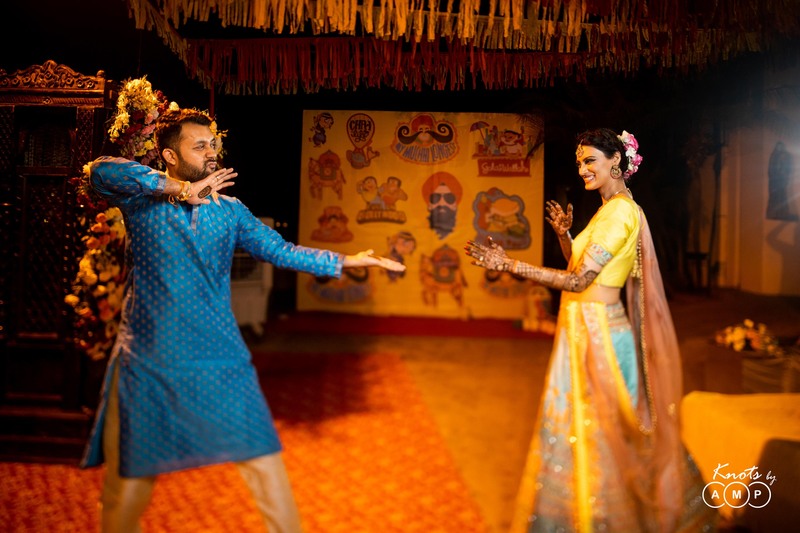 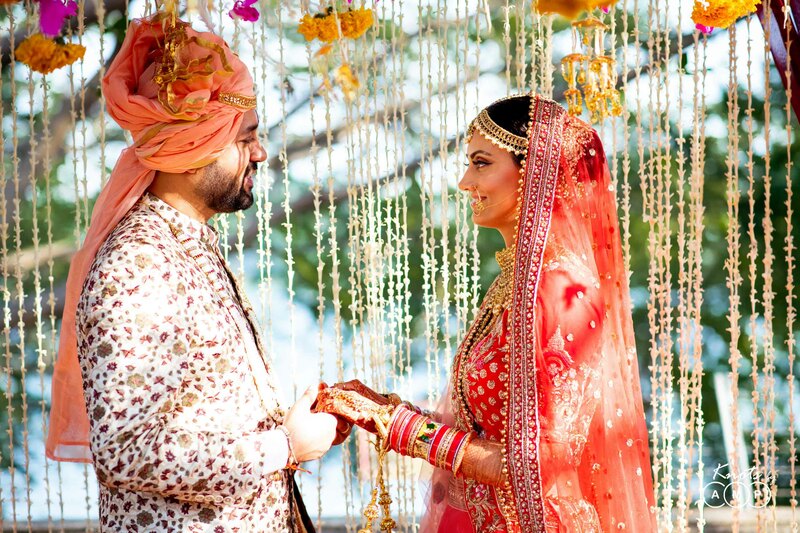 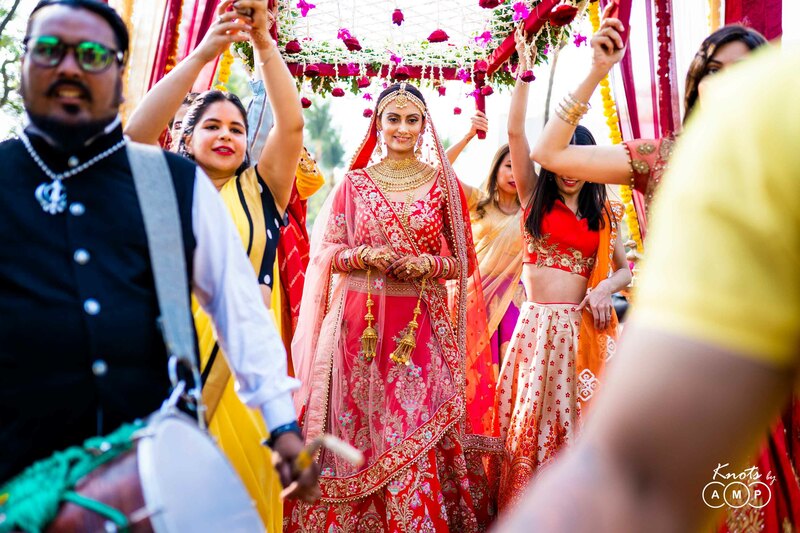 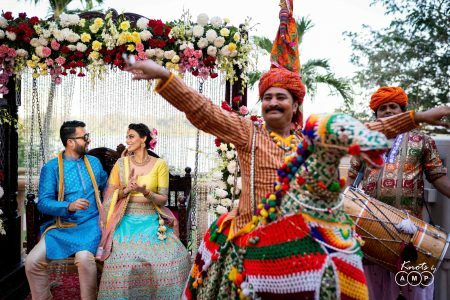 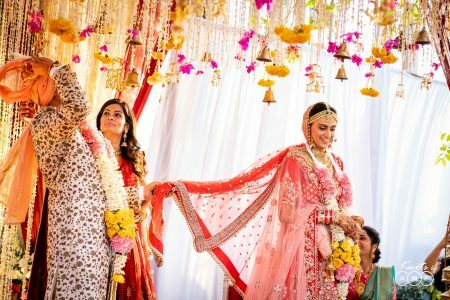 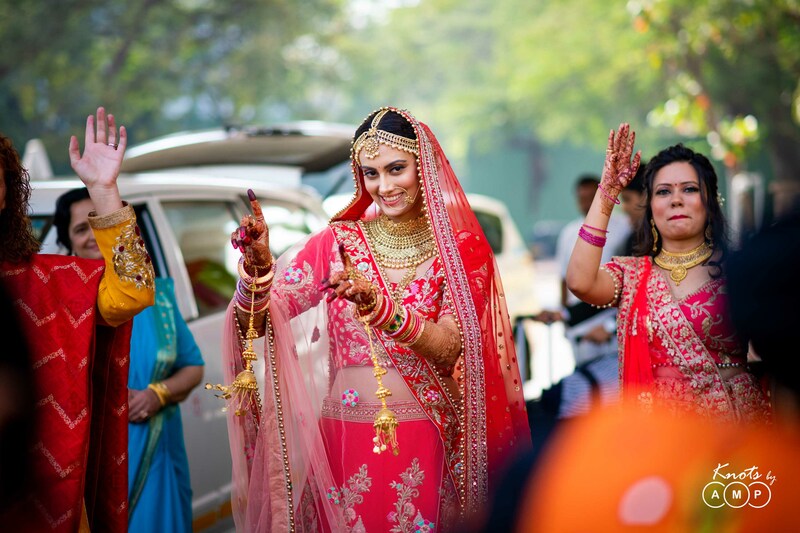 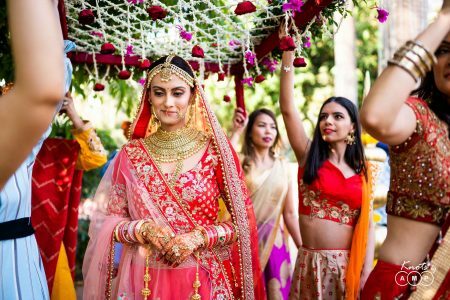 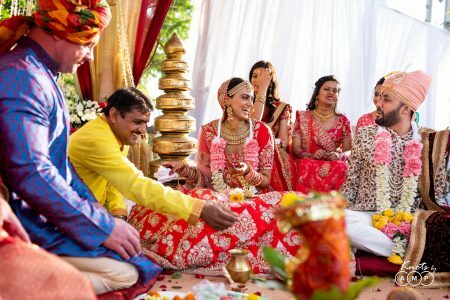 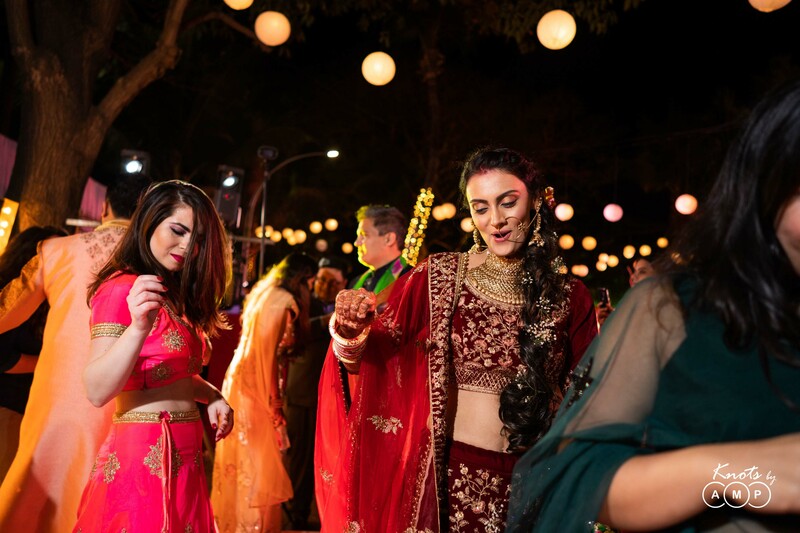 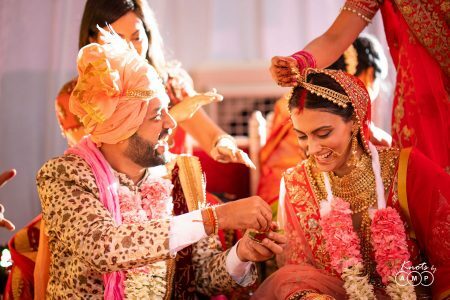 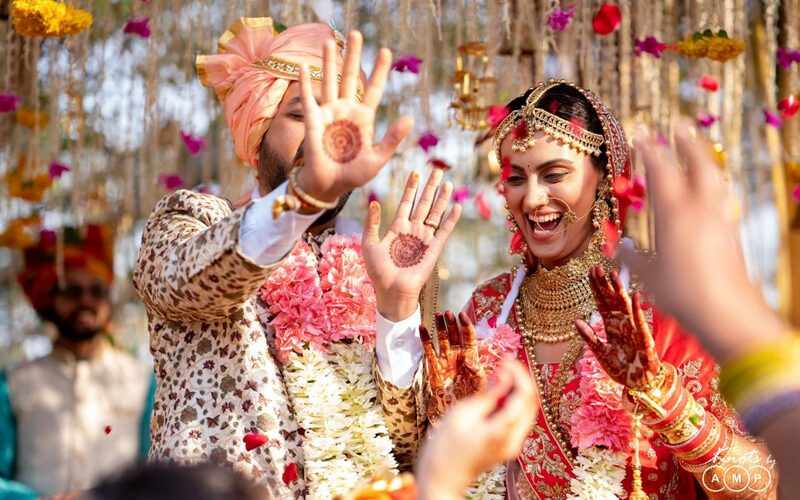 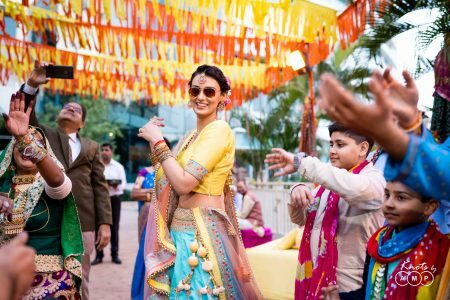 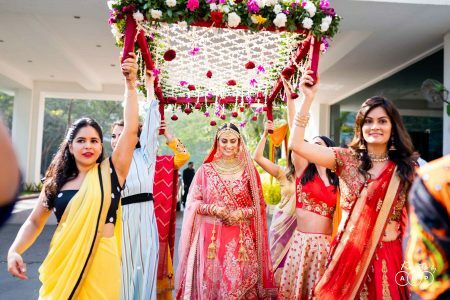 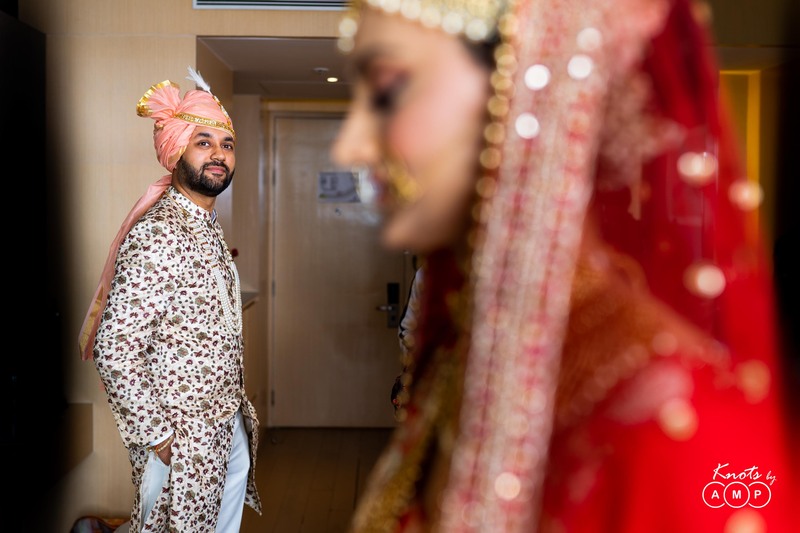 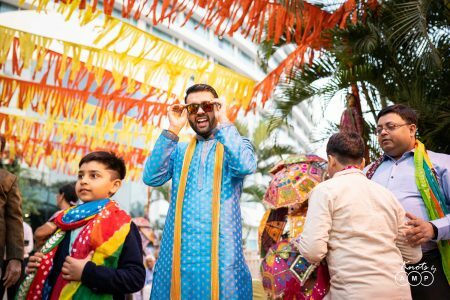 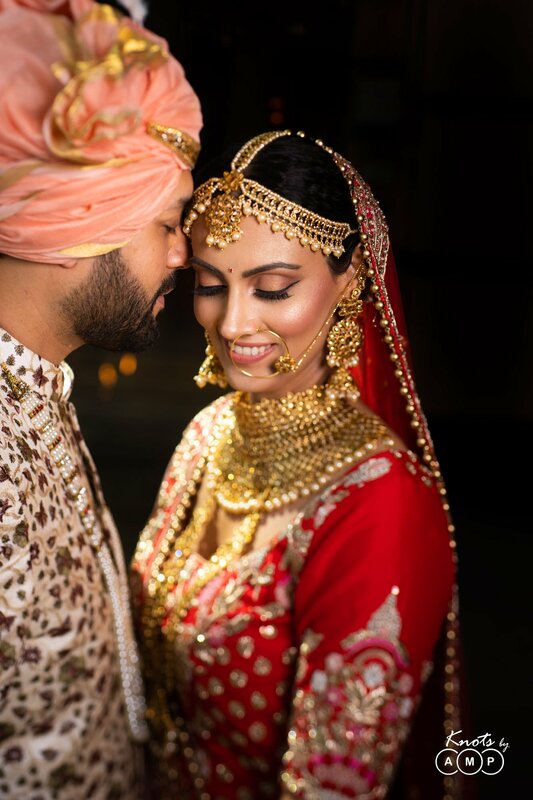 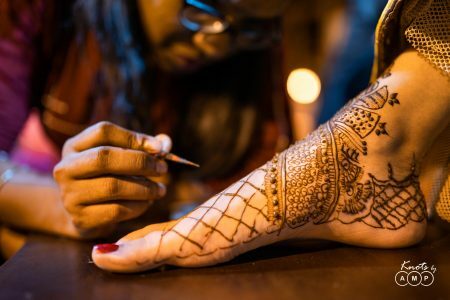 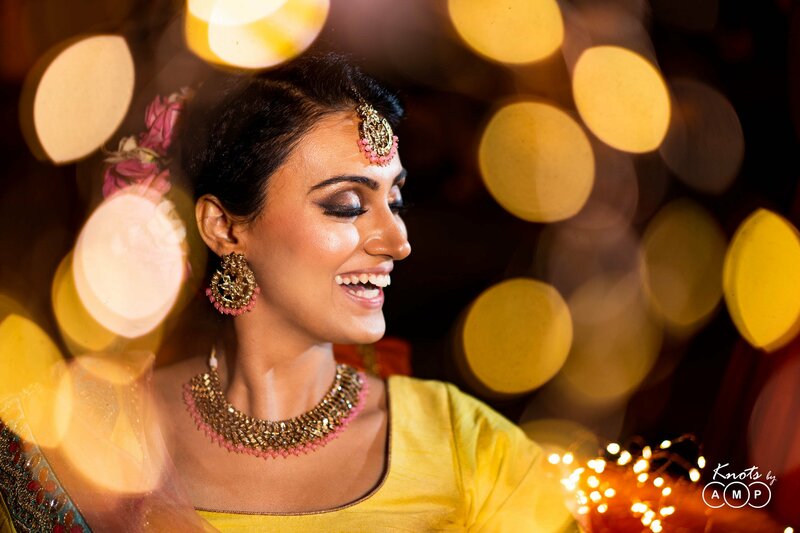 The festivities began with mehendi ceremony which was flavoured with Rajasthani folk dance and Punjabi Dhol in line with the two cultures which united for this wedding – Rajasthani & Punjabi. It was such a joy to witness the happiness around. Over past 5 years we have covered 250+ weddings, won multiple awards along with featuring in Best Photographers in India lists but nothing has come close to the review that Amritanshu has given us. 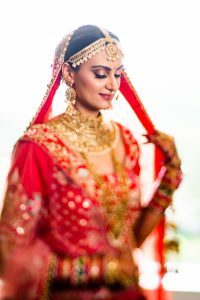 The review is a blog in itself and perhaps deserves a separate post but for the sake of inclusiveness helping all our future brides and grooms to select their dream wedding photographers in India here is the full text as also mentioned in our Google Review. 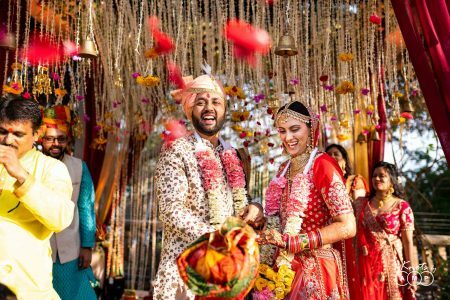 Quality of work delivered: The pictures shared with us are beautifully captured and they brilliantly document the happiness and joy being experienced by the couple on their special day. 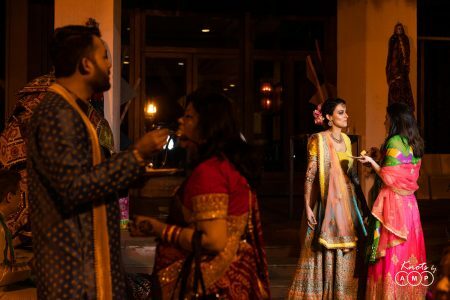 It is actually like a photo-story. 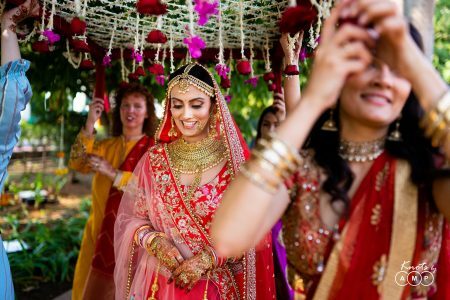 We love the clean elegant frames, the clever angles, the interplay between lights and shadows, the switches between blur and sharpness, and the amazing colour balance and tone of the photographs — all of which is really owing to their masterful application of technique and talent. 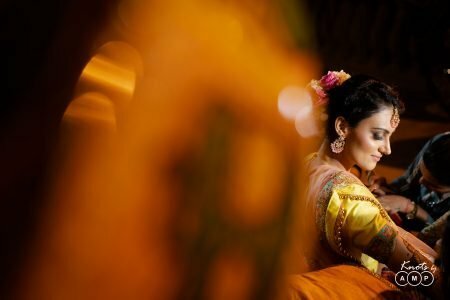 It is as well very refreshing to see some interesting, intelligent and visually engaging concepts in the work shared with us. 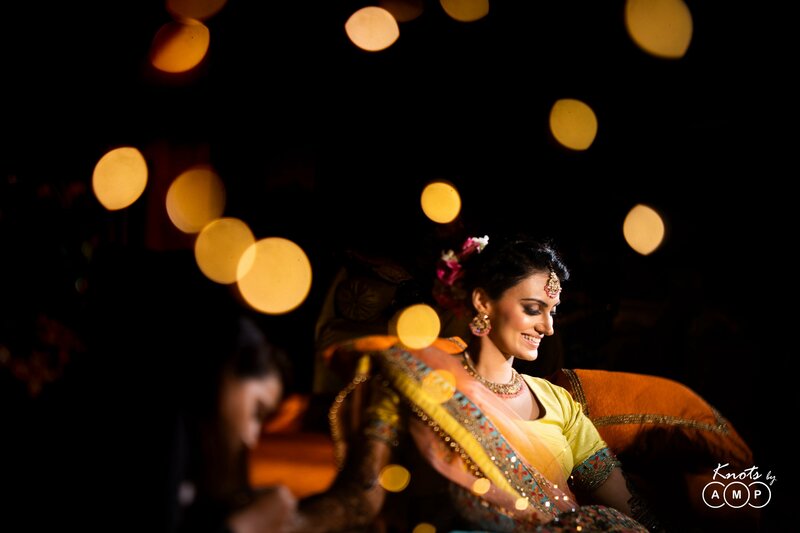 On a more personal note, what makes their work standout is their understanding of the people they are shooting. What impressed me the most is how balanced their work is. 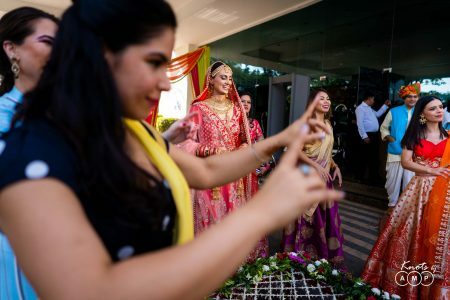 It is incredibly difficult to shoot weddings where so many things are happening parallelly. 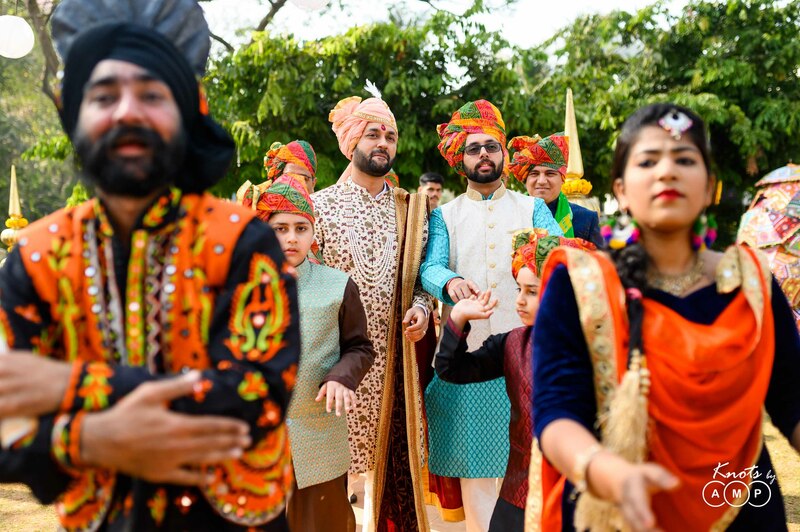 To capture all the fun, the drama, the emotions, one has to be well synced with their team, one needs to have a high level of awareness and be a master of timing, as the real difference between a good photograph and great one is timing, angle and the right frame.  With the KnotsbyAMP team led by Anupam Maurya, you will get all of this and much more. 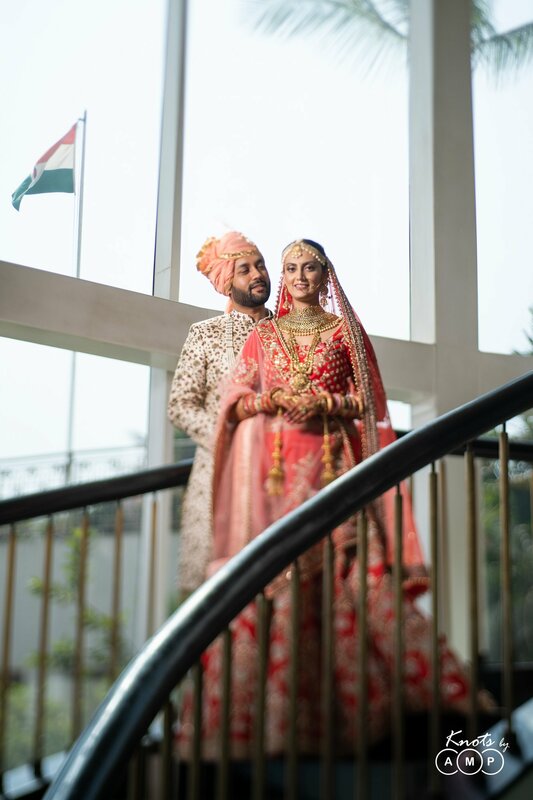 More specific to our wedding, team KnotsbyAMP have masterfully framed all the beauty of the bride and groom and all of our family and friends so perfectly retaining all the essence of reality and making it possible for us relive and cherish all the precious moments from our family event — as many times as we want now.